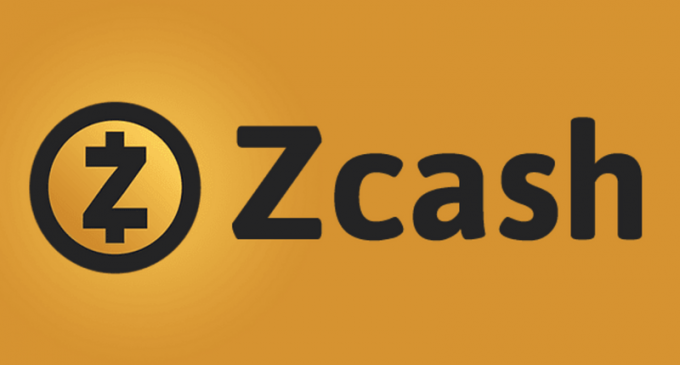 ZCash is another cryptocurrency that is similar to Bitcoin on some aspects, but it also comes with some brand new features. Some of the main characteristics of ZCash is the increased level of privacy. As you will see in this article, the system has some unique features that can give you an increased level of anonymity. Like Bitcoin and many other cryptocurrencies, ZCash is based on a decentralized ledger, developed using the blockchain technology. The ZCash is not organized as an open-source community but as a company. Due to this fact, there has been some controversy regarding the distribution of the cryptocurrency, but despite this aspect, ZCash is among the most popular cryptocurrencies. ZCash was born on October 28th, 2016. Behind the system are some strong names from the cryptocurrency industry like Roger Ver and Barry Seibert. Behind ZCash is a company, led by Zooko Wilcox, a 43-year-old cryptographer. As the company planned at the beginning, it intends to use 10% of the coins for funding and will also give 1% to non-profit organizations. It is unusual to see a company behind a cryptocurrency, as most of the coins are led by open-source communities, which gives trust that the system is fully transparent. However, the zCash is open-source as well and the fact that it is being managed by a company could mean there are some people working for the well-functioning of the system. ZCash is a cryptocurrency that allows for a greater level of privacy, so you will be anonymous behind transaction amounts and parties involved. This high level of privacy is ensured using a special proof to secure the network. It is called zk-snark, or as many people from the field call it – proof of construction. It allows the network to maintain a very secure ledger without disclosing parties of sums involved in the transactions. This thing happens through the use of zero-knowledge proofs. The proof of construction allows users to exchange information without being required to exchange their identities. Can you mine for ZCash? How is ZCash mined? The ZCash system uses the Equihash as a hashing algorithm. It is based on an asymmetric memory-hard PoW based on the generalized birthday problem. The algorithm relies on high RAM requirements and just like Ethereum, it makes the ASICs useless. Mining ZCash at the beginning was slow and rewards were issued slower than it should be. Now things are starting to move. For those of you that want to mine for ZCash and join a mining pool, you can check Hashflare and Genesis mining. In terms of supply, ZCash is the same as Bitcoin. Only 21 million coins can be mined over the span of more than 100 years. However, the block generation is much faster in the case of ZCash. With Bitcoin, it takes 10 minutes for a block to be created, while in the case of ZCash the time is 4 times less. The safest place to buy cryptocurrencies is an exchange broker. These are specialized websites where you can use fiat money or other crypto coins in order to buy a certain type of cryptocurrency. Exchange brokers represent the most reliable websites that offer exchange services. In the case of ZCash, some of the most popular exchanges that currently have support for it are hitbtc.com and Changelly. We’ve already reviewed them in our crypto exchange section. You can check them there and you can also find more information about other cryptocurrency exchanges as well. How can I sell my ZCash? If you already own cryptocurrencies and you want to sell them for cash or for other digital coins, using an exchange broker is also the most suitable solution. You can exchange the coins that you have at the market price and that is done very quickly and for low fees. The key aspect that you need to take into account is to make sure that the exchange broker that you want to work with has support for the cryptocurrencies that you want to use. In the case of ZCash, we’ve already mentioned Changelly and hitbtc.com. You can use them to sell ZCash, as both have support for it. If you want to find more reviews about exchange brokers, you check our dedicated section. Which ZCash wallet should I use? If you want to hold cryptocurrencies, you will definitely need a wallet in order to store your private keys. There are two major types of wallets that you could use. There are the hardware wallets that use the cold storage principles. These are the most secure devices that you could use to store digital coins. In the case of ZCash, the Ledger Nano S is a hardware wallet that currently has support, and we’ve already reviewed it. If we talk about online wallets, Jaxx is an example that has support for ZCash as well. You can find a review for it in our crypto wallets section. If you don’t want to get involved in all this stuff with mining, exchange platforms, and wallets, but you still want to profit from the price fluctuations of cryptocurrencies, then there is a solution for you as well. Online brokers had already included cryptocurrencies in their instruments list. That means you are now able to trade cryptocurrencies just like stocks, forex or any other assets. If we talk about ZCash, one of the brokers that have already included it is IQ Option. We’ve already reviewed the broker and you can find it on our website. If you want to find more reviews about brokers that have already included cryptocurrencies in their trading list, feel free to check our crypto trading section.